Beautiful Grounds + Shady porches to view the long sunset. Acres of mowed + planted landscaping - spectacular construction. Bam Beams - construction. Finished in 2012. Pear trees, apple trees, berries and many varieties of trees to delight you. High efficiency furnace less than a year old. Tioga Elementary School Pre-School, Elementary School / Public 6 6.44 mi. Tioga Middle School Middle School / Public 4 6.44 mi. Tioga Senior High School High School / Public 5 6.44 mi. Owego Elementary School * Pre-School, Elementary School / Public 7 5.51 mi. Candor Elementary School * Elementary School / Public 4 5.53 mi. Candor Junior Senior High School * Middle School, High School / Public 4 5.54 mi. 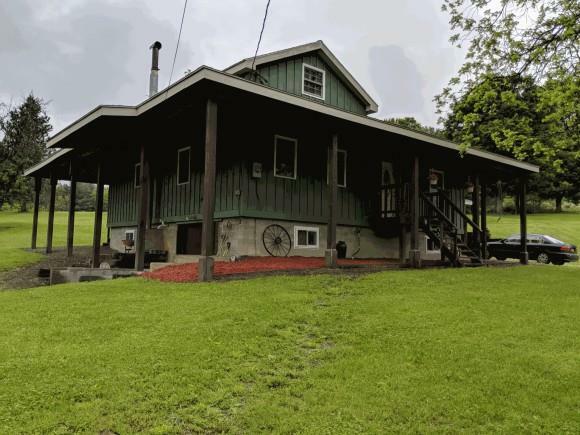 93 PERRINE Road, Owego, NY 13827 is a 3 bedroom, 1.5 bath single family home was sold for $227,000 by Brian DeYoung in the Ithaca - Hancock Street real estate office.